Saturday was a full, busy day. After a family trip to the grocery store we still needed to eat dinner. When I mentioned the possibility of pancakes my oldest son immediately informed me that he wanted pumpkin pancakes. And I knew just what he wanted. And then while I was pouring and flipping he informed me that we needed to make faces on our pancakes--he was going to make a scary one. 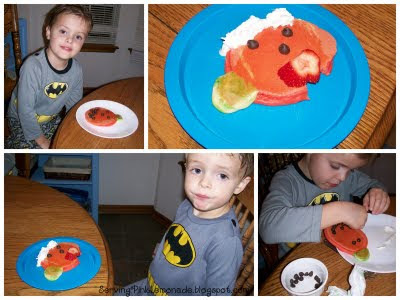 The boys had loads of fun making (and re-making) faces on their pumpkins--until we finally told them that they had to actually eat the pancakes . . . and not just the chocolate chips. It was a fun end to a wonderful Saturday. In the past we've also made jack-o-lantern pizzas. I even tried a variation of these "mummy dogs"--they were a big hit! 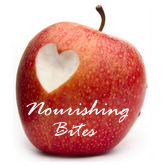 Do you have any fun "Halloween" food? We love making pizza for Halloween every year too. 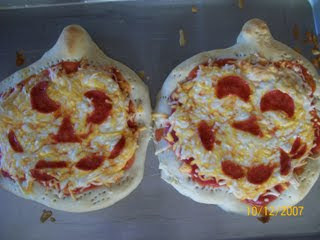 I've never seen the jack o lantern pizzas before. Think I might try those this year. TY for the idea!